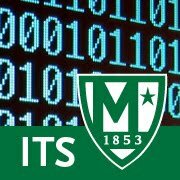 Manhattan College ITS Blog: 15, January 2019 - Partial network outage. ITS is troubleshooting a hardware failure affecting some services such as Banner. We are working to resolve the issue as fast as possible.